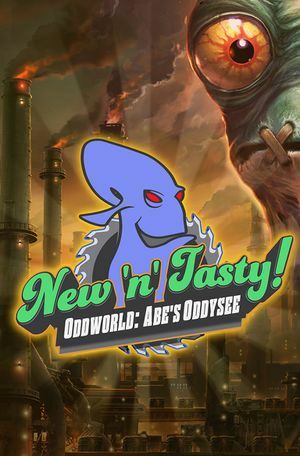 Remake of Oddworld: Abe's Oddysee. Delete or rename Legal.bk2 and Logo.bk2. Use Borderless Gaming or other software. Gameplay issues caused by high frame rate fixed as of 1.02 patch. Download CivilWolf's Oddworld Aspect Ratio Tool. Type your aspect ratio (decimal form) into the box. Press F1 as much as you want. Pause the game, then unpause the game. Open PostProcessingSettings.cfg (if the file doesn't exist, create it). Aim sensitivity slider available for weapons. XInput and RawInput (Direct HID). Has some controller compatibility issues. Presets for Xbox 360, Xbox One and DualShock 4 controllers. Can also be set in KeyMapCustomController.cfg (see <path-to-game>/Help/). 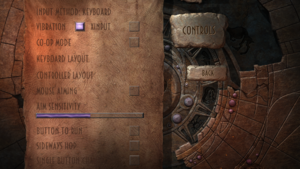 If you don't have one of the very few gamepads supported officially, all keybindings will be blank and you'll need to map every action manually. That is very tedious. Instead, you can download and use a preset configuration that should work reasonably well for most gamepads (and just fine-tune if needed). Back up InputSettings.dat, perhaps as InputSettings.dat_orig. Download new configuration file from this Steam community post. Save it as InputSettings.dat replacing the original file. 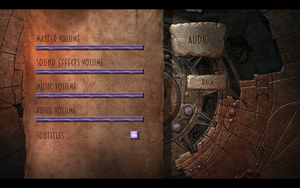 Run the game, check that default gamepad bindings are present, fine-tune if needed. This page was last edited on 15 April 2019, at 18:44.